In the mid-1920’s marimo in Lake Akan were greatly affected by both thievery and decreases in the lake’s water level. 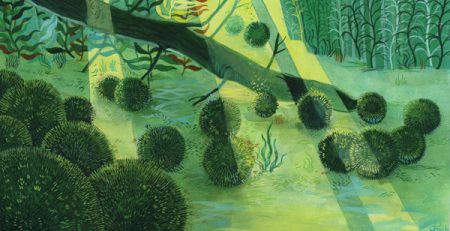 Both marimo and their environment were under attack. To circumvent the marimo’s looming threat of extinction in Lake Akan, the Marimo Festival was inaugurated. This path of devastation, fortunately interrupted and ransomed by the Marimo Festival, is documented in the following pages. 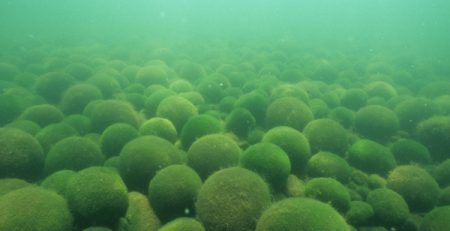 Designation of marimo in 1921 as a Natural Treasure also marked, at least for the marimo of Lake Akan, the beginning of their suffering. As Lake Akan and the surrounding area began to develop, so too did the number of people wishing to possess this strangely beautiful algae living in such a remote area of Japan. 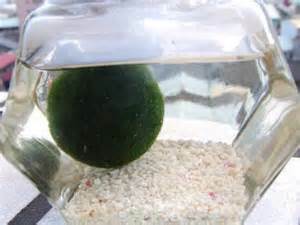 Designation of marimo as a Natural Treasure ironically and inadvertently served to stimulate their theft from Lake Akan. 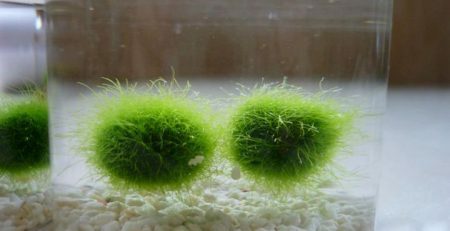 As marimo became more widely known, people dealing in their theft and sale also emerged. It’s said that in the 20’s of the Showa Era (1940’s) the store fronts in nearby Kushiro City offered rows of individually bottled marimo for between 30 to 200 yen per sphere while in the Tokyo area a single round marimo commanded the dear price of 1,000 yen. 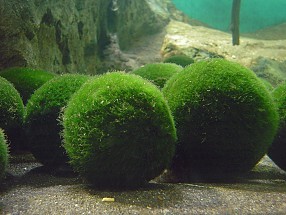 Countless numbers of marimo were purchased by tourists and taken to locations throughout Japan. While recent efforts have been undertaken to protect the forests surrounding Lake Akan, the 1920’s saw a large number of trees felled for lumber. Shurikomabetsu Bay where marimo were first discovered in Lake Akan was particularly affected. Rivers feeding into the bay were used to transport timber. The bay was used as a collection and storage point where the buoyant floating logs could be left to bob on the water’s surface. Marimo colonies living in the bay sustained extensive damage as a result. By the 1940’s marimo colonies living in Shurikomabetsu Bay had nearly been extinguished. The biggest threat to marimo however was the development of power sources. In 1920 a water powered electric plant was constructed on Akan River, a river flowing from the lake. As a result Lake Akan began to be used as a dam. For the purpose of generating electricity excess water in Lake Akan was drained thus lowering the lake’s water level. 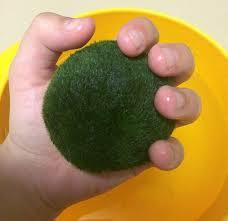 Marimo are water plants and can only survive when submerged in water. This altered and lower water level exposed marimo to the the atmosphere where they became dehydrated. In 1924 large numbers of dehydrated marimo were found lying on the shores of Shurikomabetsu Bay in the open air. In spite of restrictions placed on the use of the lake’s water, the power plant continued to drain water from Lake Akan, almost completely killing the marimo in the lake. By 1930, the marimo in Lake Akan had all but vanished. 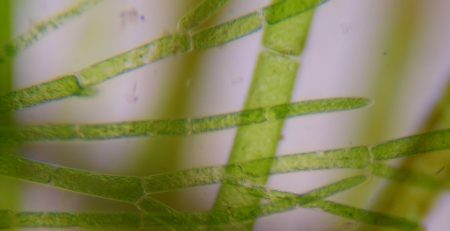 Why Do Marimo Become Spherical? Their Ancestors Lived in the Sea? Love Our Products? So Do We! Stay Connected With Us! Copyright © 2013-2019 MossBall.com. All rights reserved. Designed and built by FloraFauna LLC.